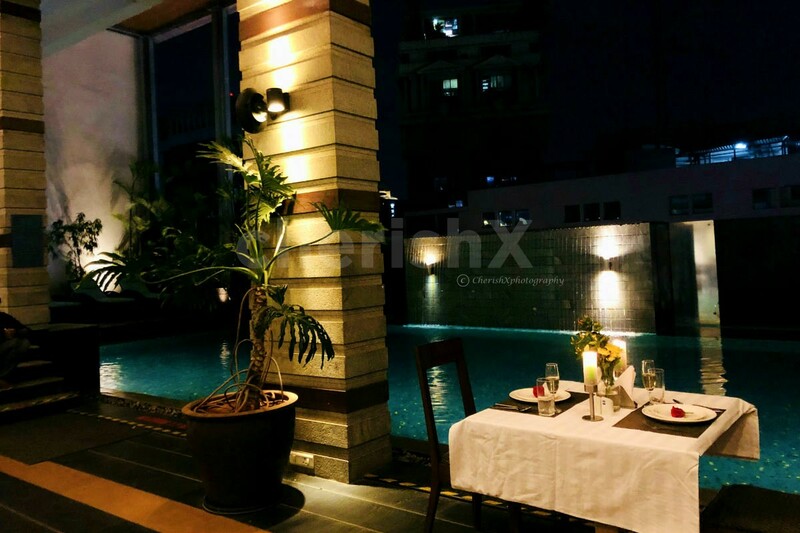 Well, if you are looking for yet another vanilla diner by the pool then let us share one of the best with you. 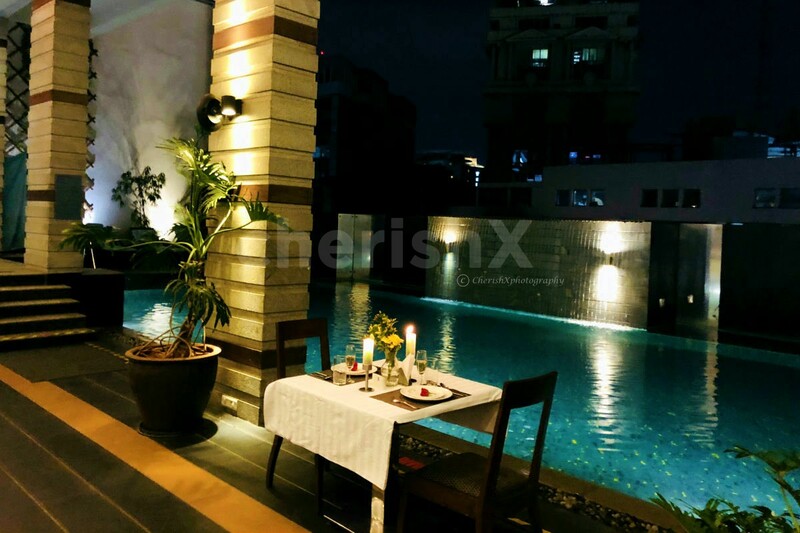 This is a place by the soothing waters that can calm your minds with its pictorial setting. 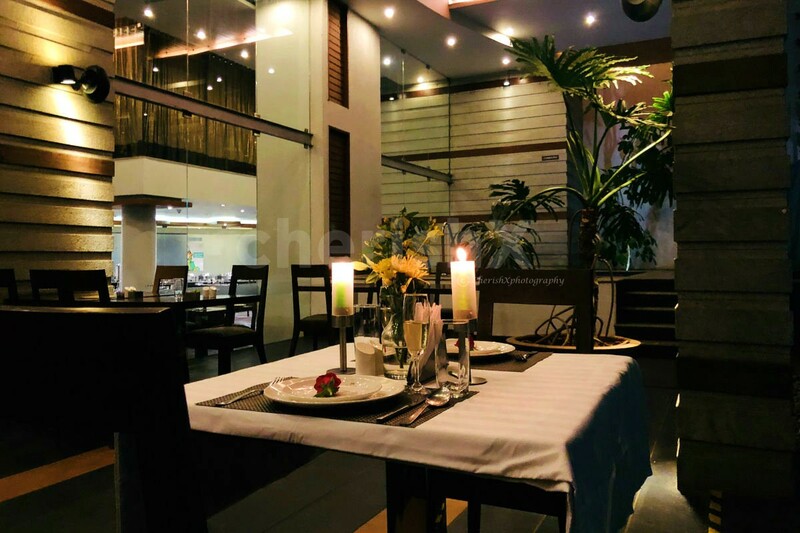 The cuisines include North Indian, Chinese, Continental. We have tried them all and loved them to death, you should too. The crowd at the place is elite, and their service is quick & efficient. Sounds like we have all the ingredients for a perfect evening here! The plates are pretty too. 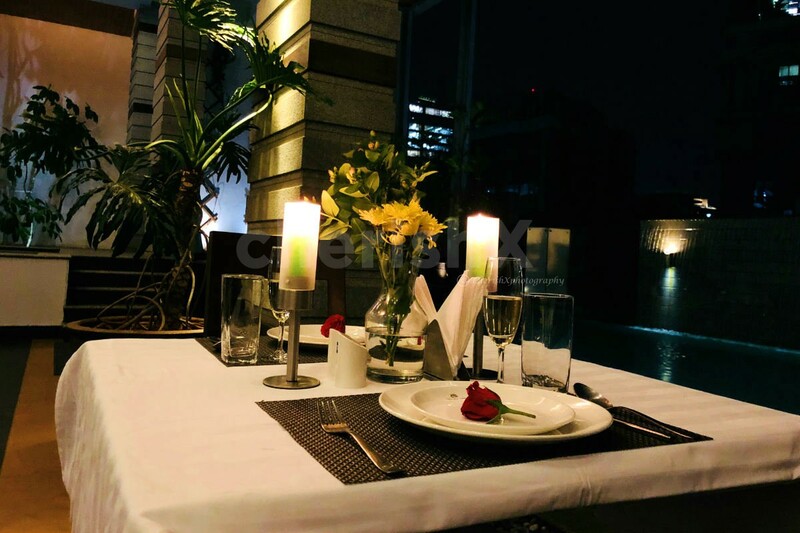 The food is light, chic and unusual. 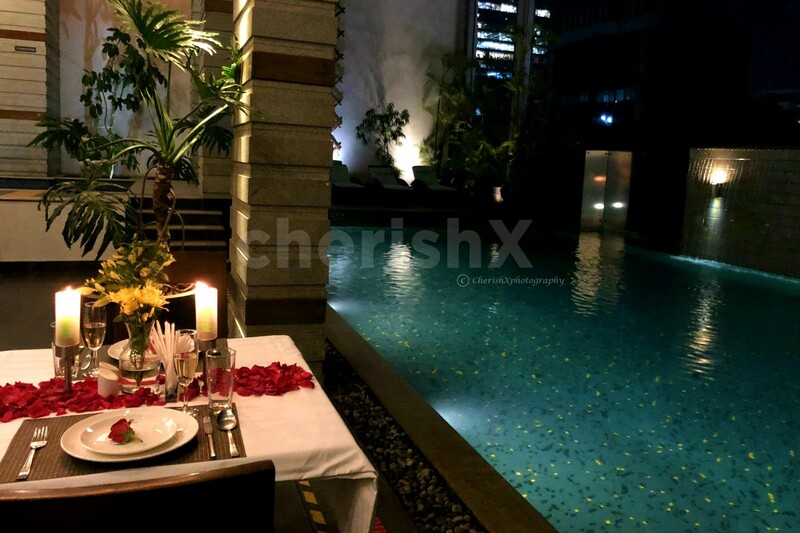 There are intimate niches where you can dine in privacy. 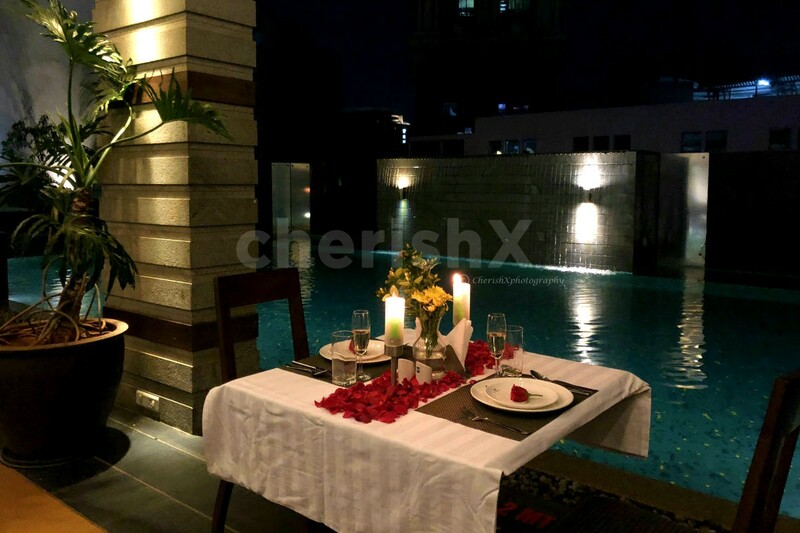 Dine by the calm water of pool in the romantic candlelight dinner setup specially done for cherishx customers. Your venue is located on Richmond road. At the venue, hand over your car to the valet, call your host to let them know you have arrived. 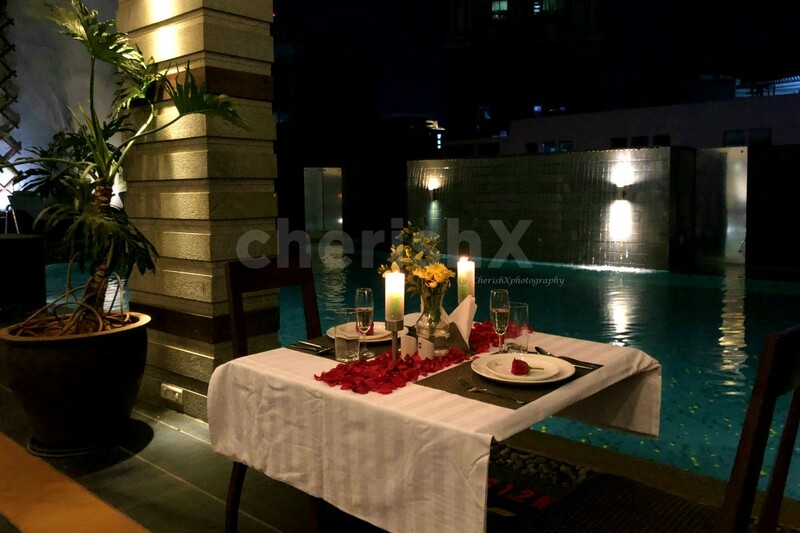 Your host will guide you to your reserved dinner table, done up with light decoration of candle and flowers. First up are your welcome mocktails, then comes your elaborate dining. 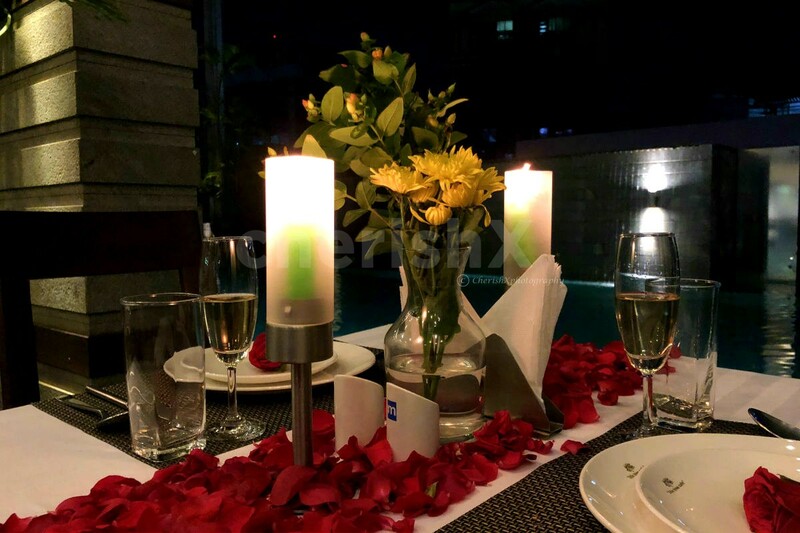 If you want to add finer details like cake, flower bouquet, private guitarist, you can within a few clicks organise those on the next screen for your special someone. Alcohol is not available at the venue. A Private Guitarist for 20 minutes. The artists will not wait more than 30 minutes at the location from the chosen time slot. Pick up and drop in a sedan (desire, etios etc.). Rental for 8 hours and 80 kms from garage to garage.